July is going to be a big month for Old School. We have two long-awaited updates on the way with our master tier clue scroll expansion and Last Man Standing! Let's get into the details. This Wednesday we will be releasing a treasure trail expansion which is sure to see many Old School players digging frantically around Gielinor! We've got HUNDREDS of new clues to be completed, including brand new puzzles to bring you a new challenge. With a new tier of clue scroll containing over 130 new riddles to complete, as well as over 100 additional clues to be solved in the existing tiers, this update is BIG. 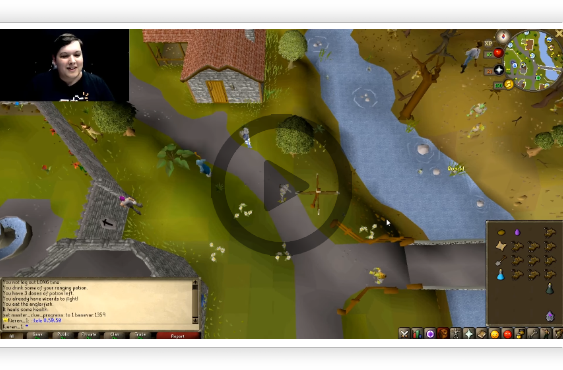 Late last week Mod Kieren showcased a few of the new additions to treasure trails coming on Wednesday. Mod West followed up, showing off some of the many, many rewards. Lots of the clue scrolls included in this updated were contributed by members of the Old School community. Everyone who contributed a clue which made the cut will find themselves commemorated in-game, as well as on the examine of the clue they submitted. Our chosen three winners will be contacted on Wednesday with information about their prizes. Only two more days until the clue expansion arrives - Grab your sextants and spades, things are about to get interesting! Last Man Standing is well on the way to being complete. As we inch closer and closer to the release coming later this month, we are looking to perfect the balancing of the minigame before it is released for all to play. In the coming weeks we will be running a closed Last Man Standing beta to gather feedback on gameplay and balancing. Selected players will be given access to a world on which only Last Man Standing will be available. Our goal with this beta is to get preliminary feedback on how the minigame plays. We also hope to tweak the balancing of loot chests in order to make the minigame a fairer, more enjoyable experience once its doors open for all Old School players. Currently, we expect most players to end up with mid-tier equipment when playing Last Man Standing. You won't be running around in max gear with enough food to feed a small town, you'll be lucky to get your hands on a dragon scimitar and will settle for any scraps you can get! If you would like to be a part of the closed beta and feel you can contribute to making the minigame as fun as possible, please submit an application! Last week we published a developer blog discussing what we had in mind for raid rewards. We received a mountain of feedback from the community and have decided to make some big changes to what we will be offering as raid rewards. The most significant change we will be making is the removal of insignias. Overall, the response to them as rewards has been a clear-cut "no" from a majority of players. We are always interested in exploring new ideas which can help expand on the Old School experience, but the community has spoken clearly and we won't be pursuing insignias further. Later on this week we will be publishing a follow-up developer blog which will detail changes to other rewards as well as a replacement for insignias. As always, we are very open to your suggestions and feedback. If you have ideas which you would like to see in game, let us know! Raids are going to be a true challenge for anyone daring enough to take them on - we are set on making sure that the rewards they offer are ones which will live up to that. On top of the sizeable updates above, we will have the usual flow of content coming throughout the month from recent polls. July is going to be a great month with plenty to be excited about! I can't wait to see the new clue rewards in-game, they look amazing. As for last man standing.... I CAN'T WAIT OH MY GOSH, it's gonna be fantastic, hopefully I get access to the beta and if not it will be fun to watch on twitch anyway. Slightly disappointed about the clues because the rewards are basically all cosmetics - but I'm sure they'll be fun to complete so that's fine. Last Man Standing looks amazing and I'm sure it will be great content that everyone in the community will be able to enjoy - open content is equally important as "elitist" closed content. Finally, raids rewards are the most important part and the most disappointing part. Being part of the elite PvM community, I really want to see raids be difficult, but fun - the boss fights are hugely important, but the rewards are equally important. The dragon item rewards shouldn't be on the bosses drop tables. Dragon items historically come from quests or rdt (except from dchain / d2h which come from easy bosses) and are such low level gear that they really shouldn't come from end game bosses anyway. It's a shame that insignias were removed from the rewards - they were actually much more balanced than people seemed to think, but I guess there's not much we can do about that now they're gone. Most of the prayers are borderline useless (except augury / rigour). 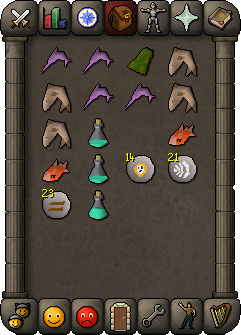 I hope that the mage hat gets a boost to become BiS and I also hope that mage is the best style for raids (with switches to other gear perhaps) because right now ahrims (which will be replaced by raids gear) is useless in PvM except at Zulrah. The new gear wont be worth much if it's only good at one boss. PvM clans will send you their personal opinions on how the rewards should be modified, based on the opinions of high level members (= the people who will be camping raids), although I totally believe that with someone like Kieren on your team the PvM update can be flawless.